Seattle Family Law is a two-attorney team providing divorce and other legal services with a continuous personal approach and attention to details. We are committed to providing hands-on counsel and support as you move through your legal situation. For most people, divorce or custody dispute affecting family and other personal relationships is among the most difficult experiences in life. Because you must nevertheless make important decisions you need counsel that does not brush aside the emotional context of your situation and simply make decisions "for" you. Rather, we engage in meaningful dialogue with you so that you can make informed decisions for yourself. We strive to understand all of your objectives, including the impact of your decisions on your family and other loved ones. Our goal is to help you select and carry out the most appropriate legal strategy at each step in the process. However, we do not forget that it is "your" case and thus your needs and desires that direct case strategy and action. In this economic climate, most people are deeply concerned about the legal expense and need to control their costs. To meet this need, we offer "unbundled" services as well as full legal representation. You can "buy" as many attorney hours as you need and can afford so you control your costs. "Unbundled services" are legal services consisting of a single consultation or project, such as assisting a self-representing litigant prepare specific court documents (i.e. divorce papers, response, defense of a family law motion in court) or to prepare for a court hearing or trial. We also offer full representation. This means that client delegates all of the routine and other work associated with the client's case to us. We communicate with the opposing counsel or opposing party and assure that all the necessary work in the case is done on schedule. Full representation is also called hiring an attorney on "retainer" - advanced deposit placed in special attorney trust account. 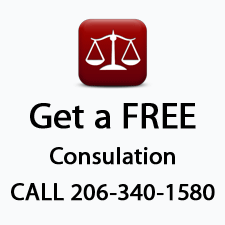 Before you go to a "paralegal" service, we encourage you to use a FREE CONSULTATION with attorney to make sure you are fully aware of your legal rights.